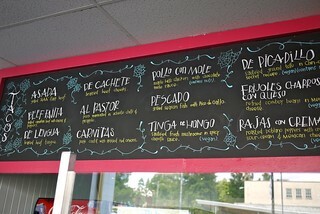 La Taqueria Pinche Taco Shop grand opening on Cambie Street on July 18, 2011. 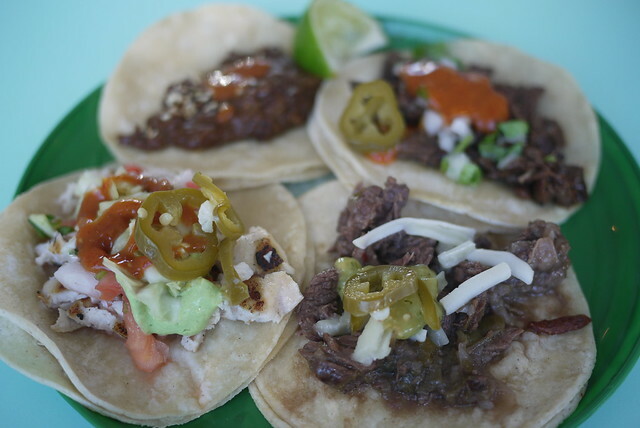 We just had to try La Taqueria's taco shop grand opening of their brand new location. I hadn't ever been to the Hastings one. 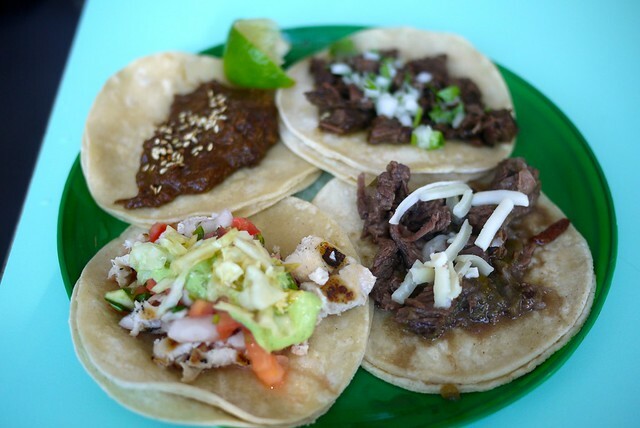 I was a little overwhelmed by the choices, but decided on the beef fajita, Asada beef flank, Pescado fish, and Pollo con Molo chicken in chili chocolate sauce. 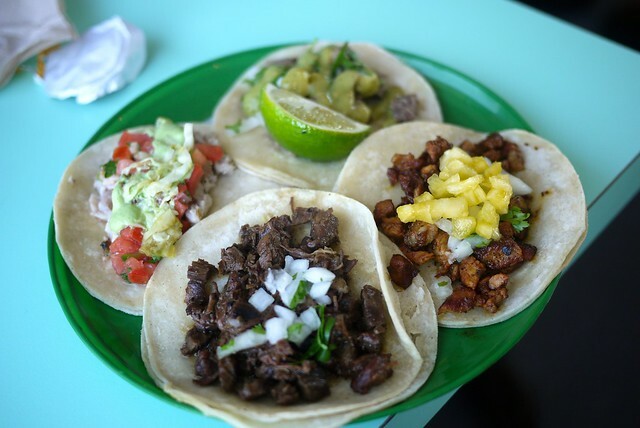 Four tacos for $9. They were really good. My favourite by far was the fish tacos. I wasn't too impressed with the Maple Hills chicken in three chili chocolate sauce. I heard the pork options and beef tongue were also top notch. The variety of sauces was also really solid and the staff was very friendly. I did find the seating a little odd with one side of the tables useless without seats and the seats much too low for the tables. 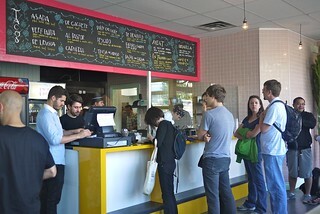 The place was jam-packed with eager customers and the joint should easily clean up. Warning: It's cash only at the moment. 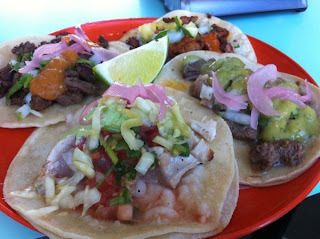 I can't wait to go back and try more of the taco varieties. 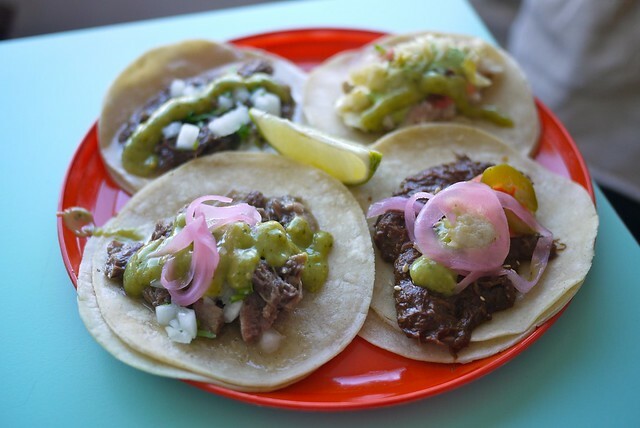 Vancouver is so desperate for more Mexican restaurants and stops for good tacos. So much deliciousness! Great stuff Rick! 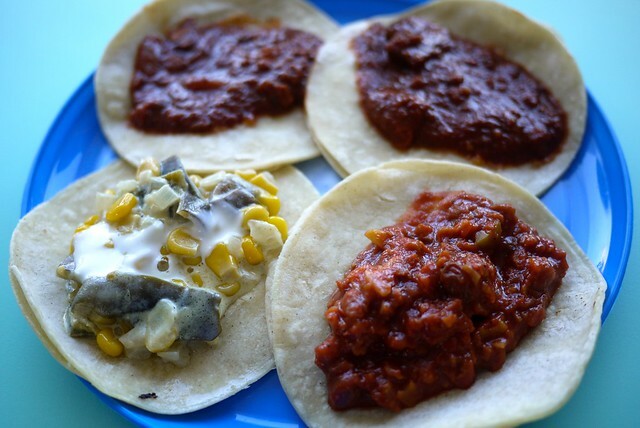 Mmm reminds me of Mexico City.